When Fox got back into the animation game in 1994, I and probably half the world envisioned the kind of spirited competition the studio gave Disney during the Golden Age of cartoon shorts. But that hasn’t materialized. After the promising theatrical debut of Anastasia, only the Ice Age films and Rio could be called hits. The problem isn’t the animation, which has been accomplished and, at times, jaw-dropping. 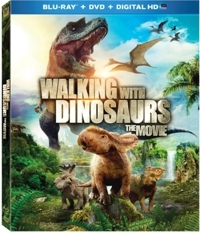 It’s the concepts and the writing, and there isn’t a better illustration of that than the film version of Walking with Dinosaurs, which was released in theaters as Walking with Dinosaurs 3D. Produced by BBC Earth and Evergreen films, this animated feature has gorgeous CGI artwork and effects and tells an interesting-enough story, even if it does lumber a little too close to Disney’s Dinosaur (2000). But Fox bought the distribution rights and decided that instead of a voiceover narration like the TV series that spawned it, they would make the dinosaurs talk in order to better connect with audiences. Bad move. So bad, in fact, that BBC Earth must have balked, since the 3D combo pack includes a “Cretaceous Cut” that allows you to watch the film without the unnecessary live-action frame story that the Fox brass tacked on, and without the talking characters. Now is a good time to remind readers that this site is devoted to TV shows and films that are rated PG-13, PG, or G—and amazingly, this Vince Vaughn comedy qualifies. You’d expect a film about an underachiever who learns that some 600 “donations” he made to a sperm bank 20 years ago produced 533 children, 142 of which have filed a class-action lawsuit to learn his identity, would go the direction of R-rated raunchy comedies. But with Delivery Man, writer-director Ken Scott gives us a surprisingly sweet PG-13 film that has some language, some drug content, and brief violence, with Vaughn playing a nice guy with a darned good reason for doing what he did 20 years ago. 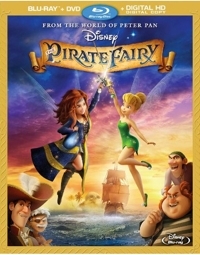 My daughter, who’s part of Disney’s target audience for the CGI animated Tinker Bell series, says that she likes all the direct-to-video offerings—Tinker Bell (2008), Tinker Bell and the Lost Treasure (2009), Tinker Bell and the Great Fairy Rescue (2010), Secret of the Wings (2012) and this fifth installment in the series, The Pirate Fairy. They’re all good, she says, but the last two are her favorites. 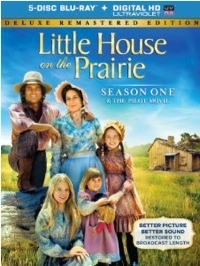 If your children like historical dramas and love imagining what life would have been like during pioneer times, there’s no better place to start than the Little House on the Prairie TV series. So many ‘70s shows feel dated or corny now, but this series—loosely based on the children’s books by Laura Ingalls Wilder—still plays well. It’s a deftly written, convincingly acted series that’s not afraid to tug at your heartstrings, but also tosses in a dose or two of reality. Not everyone rides a horse or drives a buggy, for example. There is a sizable population that walks everywhere—even great distances—because they aren’t affluent enough to do anything else. And when a hailstorm wipes out all the wheat, farmers everywhere have to leave their families and look for work in faraway places, or they’ll lose the farm and the family will starve. Little House on the Prairie stars Michael Landon in his post-Bonanza and pre-Highway to Heaven role as the patriarch of a family of females who move from Wisconsin to Kansas and finally end up in Minnesota. The emphasis in this series is on family and family values before such a term came into existence. It’s wholesome, heart-warming, and full of life lessons. The two-hour pilot, included here, is the most potentially traumatic, so if your family has small or sensitive children I’d start with Episode 1 instead and watch the whole season before suggesting, “Hey, would anyone like to see how the Ingalls came to Plum Creek?” after the children already know that everyone’s okay. There’s a time in the pilot when a family member is thought drowned, as well as several moments of menace that come as a result of wolves and Caroline Ingalls (Karen Grasse) and the girls’ encounter with Indians while Charles is off hunting. 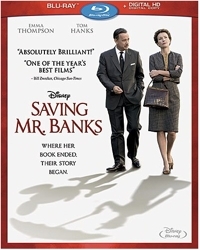 Ever since Old Yeller, parents have had to decide where to draw the line with live-action Disney movies—and that line gets a little blurry with Saving Mr. Banks, the 2013 behind-the-scenes story of what it took for Disney to fulfill a 20-year promise he made to his daughter. On the one hand, Saving Mr. Banks is a bittersweet tale of how the Disney bunch finally managed to wear down the dour and stodgy P.L. Travers and convince her to assign them the film rights to her Mary Poppins books. Admit it, moms and dads. 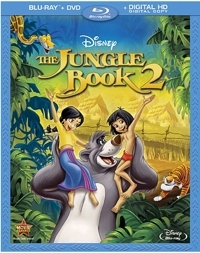 The minute you see a “2” or “II” on a Disney title, doesn’t it trigger a silent consumer alert somewhere in your buying brain? Sure, The Return of Jaffar (that awful Aladdin direct-to-dumb video sequel) put everyone on guard. 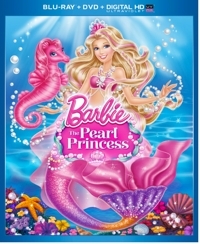 But since then, except for a Hercules follow-up with bargain-basement animation, the never-ending sequels have been mostly well done, even if they’re shadows of the original and about as original themselves as Saturday morning cartoons.